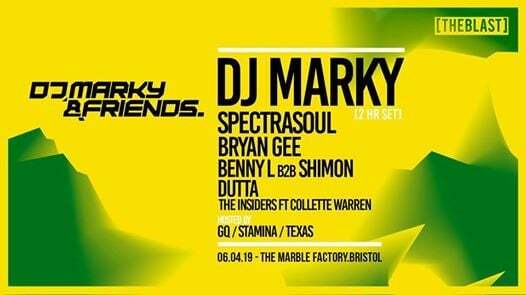 DJ Marky returns to Bristol this April bringing his Marky & Friends party to town! ???? Based in Sao Paulo, the clubbing and dance music capital of Brazil, the Bristol favourite is revered as one of the country’s biggest musical talents. 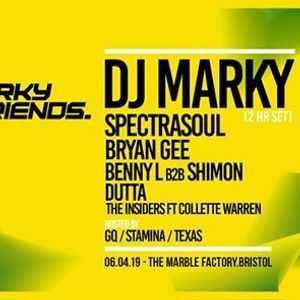 For this reason – as well the influence he’s had on the drum and bass movement across the world, Marky is without a doubt one of the true legend's of the game. On 6th April he’ll be bringing that South American influence to the South West and we can’t wait to see what he has in store!. An unbelievably energetic and entertaining performer (not to mention a true wizard on the turntables), when Marky puts on a party, you’d be daft to miss it. For his latest shindig, he'll be performing a special two hour set for us and has invited his nearest, dearest, and most talented friends.